Featuring updated hardware and tilt support, the Surface Pen (2017) from Microsoft is compatible with select Surface products and provides you with a pen on paper like drawing and writing experience. It now has 4096 levels of pressure sensitivity with virtually no lag, and can now be used to shade in your drawings as you would with a pencil. There is still a side button for quick access to shortcuts and commands, as well as a tip eraser for a natural workflow. For more customization options, you can change out the tip to one that fits your style (sold separately). The Surface Pen pairs to your device wirelessly via Bluetooth 4.0 and is powered by a single AAAA battery. 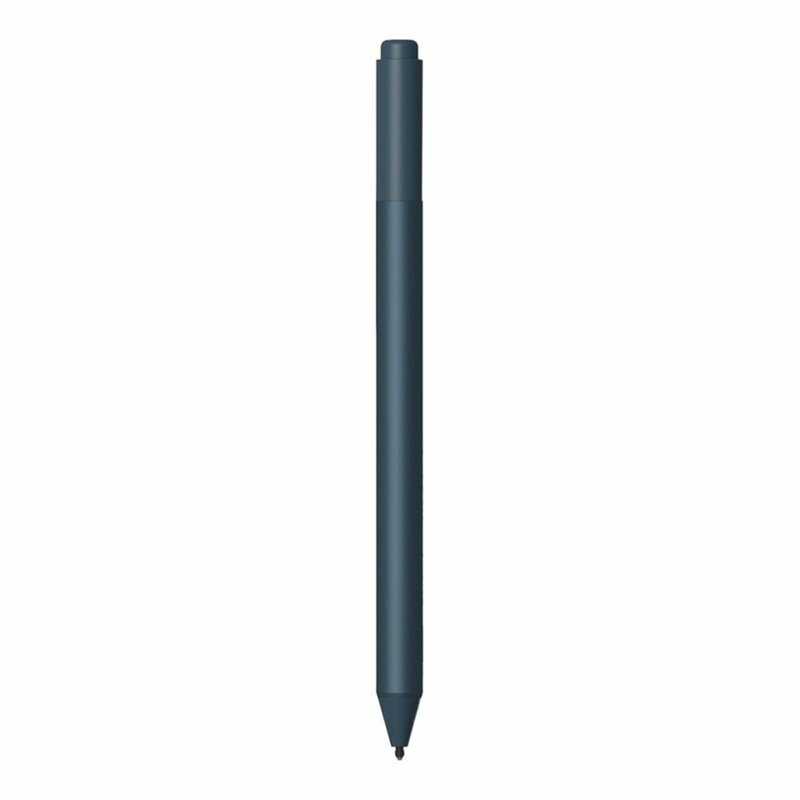 Tilt Support: The Surface Pen now supports tilt so you can shade-in your drawings, just like you would with a pencil. Intuitive Hardware: Swap through three different tips to fit your style: a #2 pencil-like tip, a low-friction tip similar to a fine-point pen, and a medium tip. Real time thinking: The updated Surface Pen features virtually no lag or latency so it'll feel right no matter how fast you write or draw.